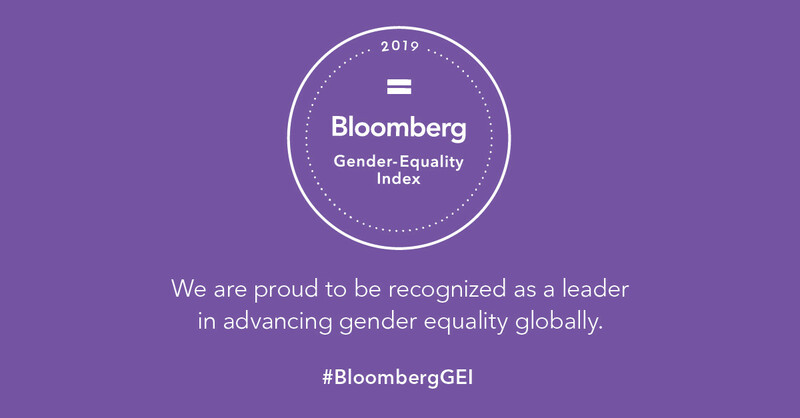 Gender equality is critical for us as a global organization and while we still have work to do, this recognition acknowledges that we are on the right track. When we foster an inclusive environment where talent is identified based on performance and customers are doing business free from bias, then we can only succeed. We’re seeing a lot of discussion right now on the advancement of women particularly around topics like equal pay, leadership development and unacceptable behaviour as exposed by the #metoo movement. As an organization, we have both taken measures and engaging in conversations around these topics as we consistently strive for improvement - not only for women - but for any group. On pay equity, philosophically, there is no question in this organization about our stance around pay equity or equal pay for work of equal value. Gender is, and should be, irrelevant when it comes to compensation for the same role and same performance within the same market. Our compensation team proactively searches for any possible gaps which if identified, are addressed quickly, and we ensure we are compliant with all applicable pay equity legislation. In October of 2018, the federal government of Canada announced pay equity legislation would be coming within the Budget Implementation Act. Scotiabank is committed to working as partners with the Government of Canada as partners in enacting this legislation. With regards to sexual harassment in the workplace, we have always treated each complaint seriously and consistently update our workplace policies to ensure they are as current and relevant as possible. We have a no tolerance policy at the Bank, and there is an unquestionable expectation from people managers and any employee that incidents must be reported. We consistently comb through commentary from employee surveys to ensure we are identifying and addressing any possible issue. In the areas of developing and identifying female talent for leadership roles, a critical process for us has been our Leadership Resource Planning Process (LRP). LRP effectively tracks high potential individuals within all of our countries and talent is flagged for potential moves and development opportunities (both in soft and technical skills) in order to be ready for a leadership move. It’s a global process, and it enables us both to effectively succession plan while ensuring talented women are being offered the same access to opportunities as their male counterparts. We’re constantly reviewing the LRP process in HR to ensure it is even more proactive and future-looking than before. Externally, we partner with firms that search for the best talent all over the world to help us source excellent talent from a variety of industry and personal backgrounds. When paired with the great institutional knowledge we have at the Bank, these external hires contribute to building the highest performing team possible here at Scotiabank.